My memory is fully occupied. Maybe I create a new page. Ich habe mal wider das Maximum erreicht, werde aber keine weiteren posts mehr löschen…. Falls ich eine neue Seite einrichte….lasse ich es Euch wissen. 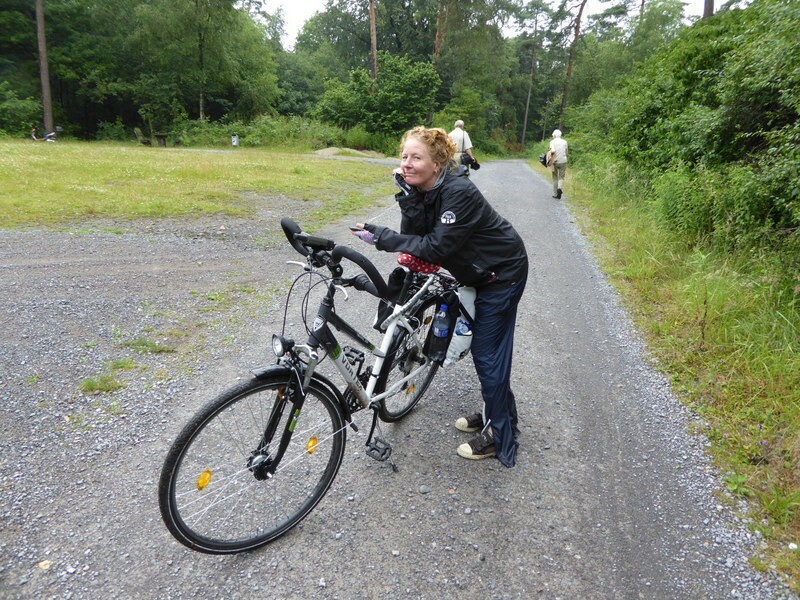 …the wood, the rain and Kerstin with her geocaching things…. Indoor-clouds….Wolken in Räumen …cool…Happy Friday…. This morning I am once again with my bike to work. 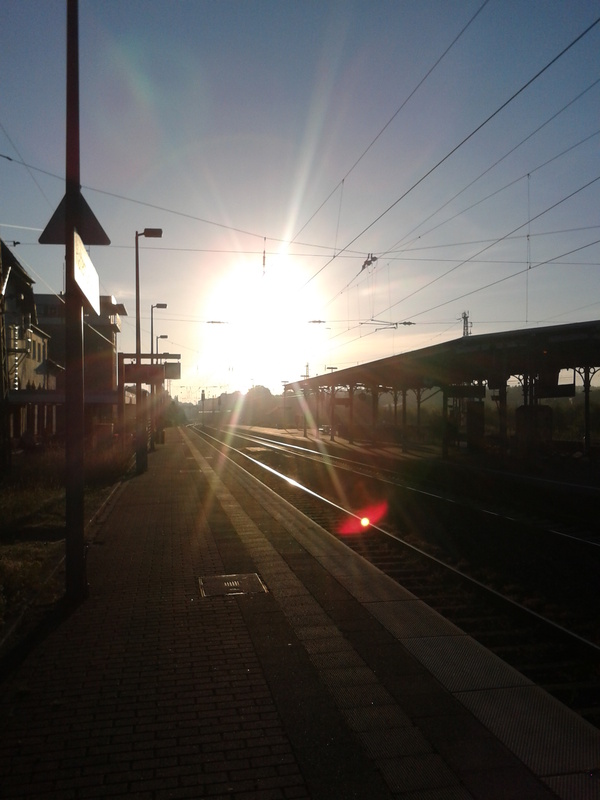 At the station I have taken a picture, because the sun was so early there. ….this and that at Saturday…It has been raining all day and I have become very wet.